Perfect for any little cat lover. 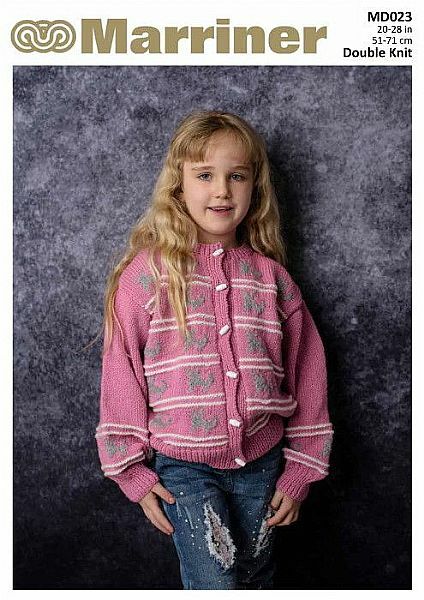 This double knit Cardigan features cat designs on the front and at end of the sleeves. 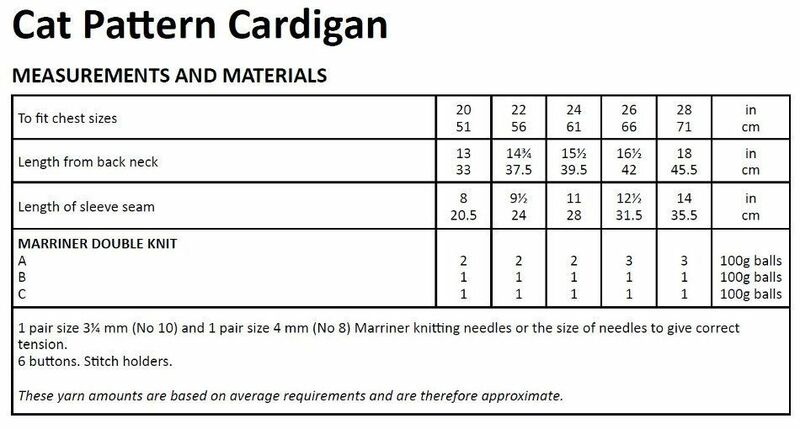 Hooks required 1 pair size 3¼ mm (No 10) and 1 pair size 4 mm (No 8) Marriner knitting needles or the size of needles to give correct tension. 6 buttons. Stitch holders.